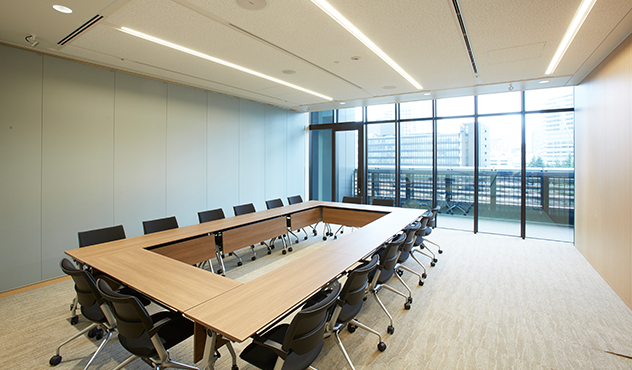 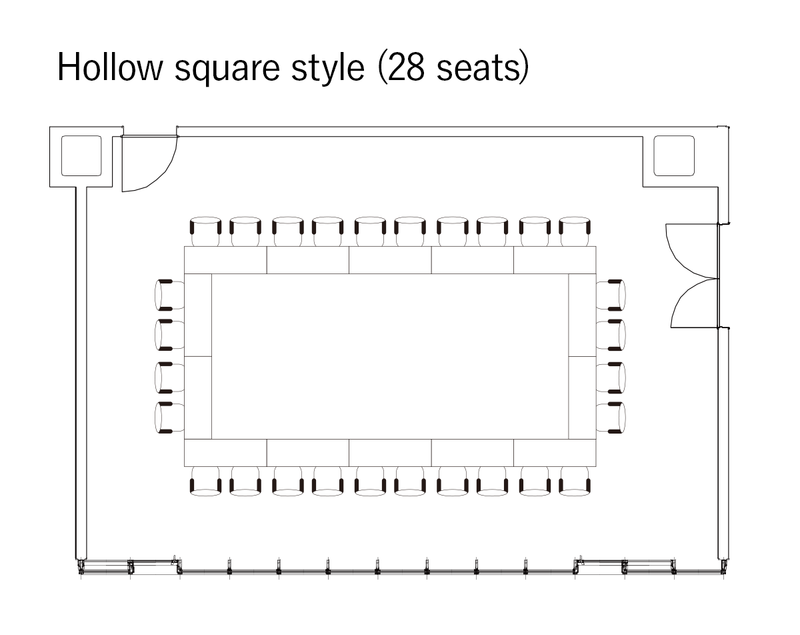 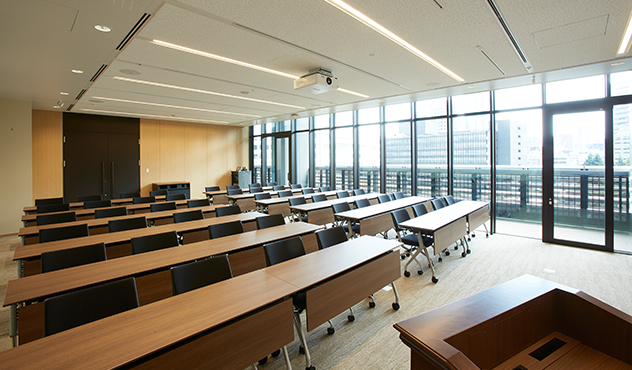 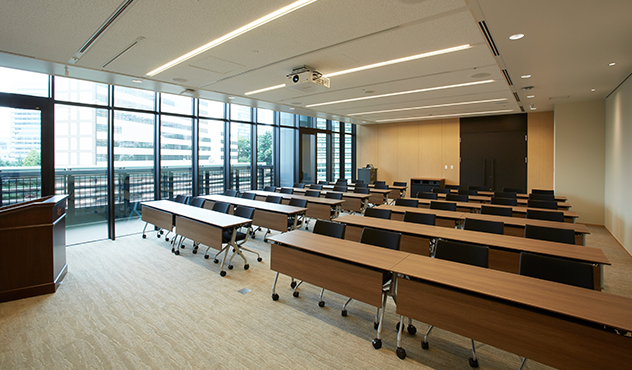 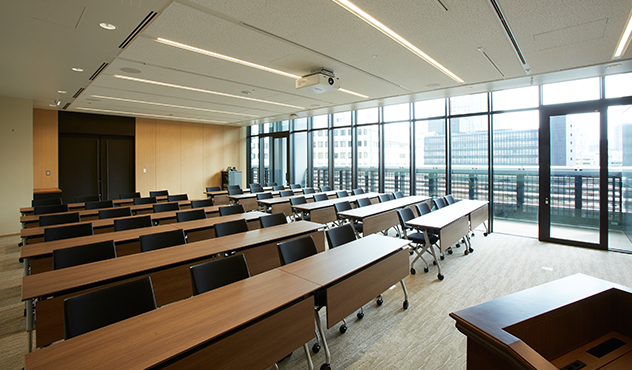 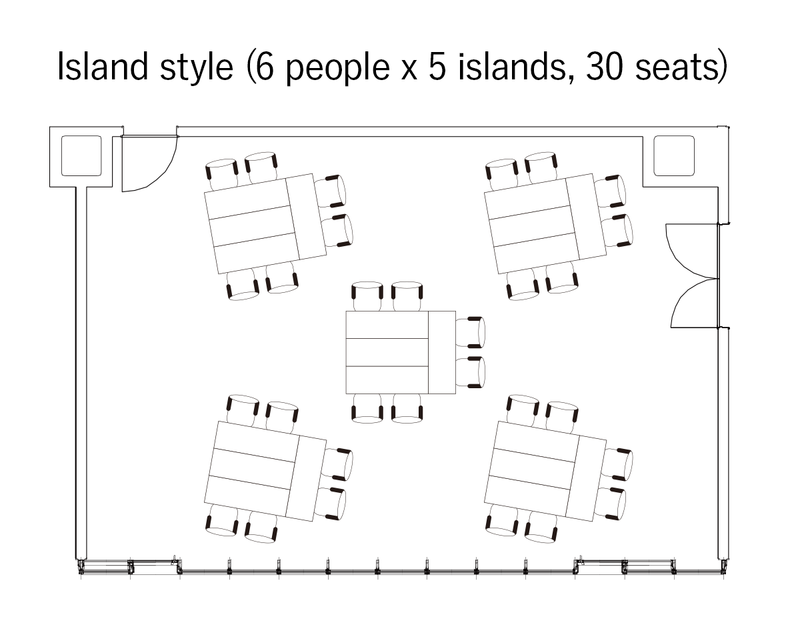 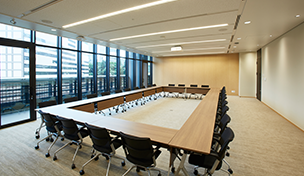 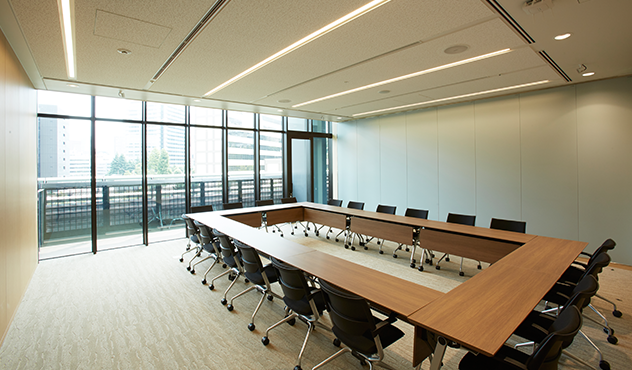 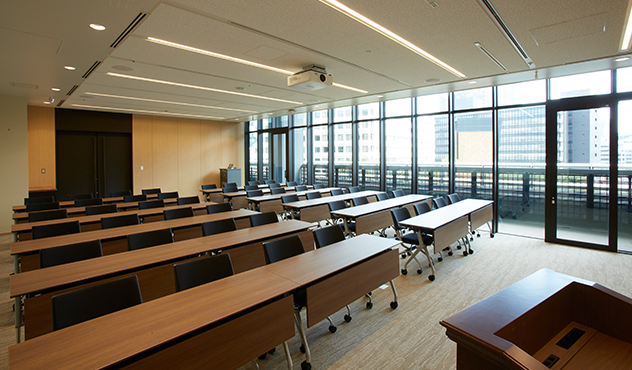 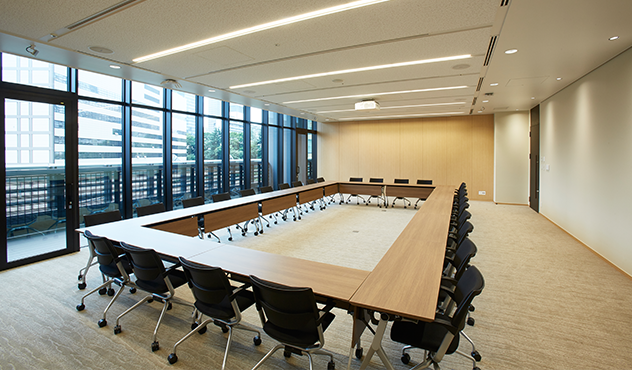 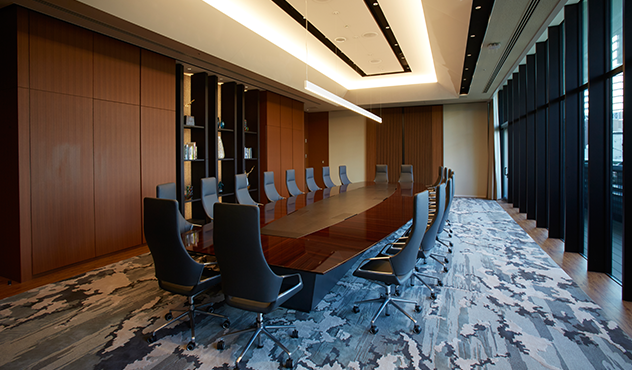 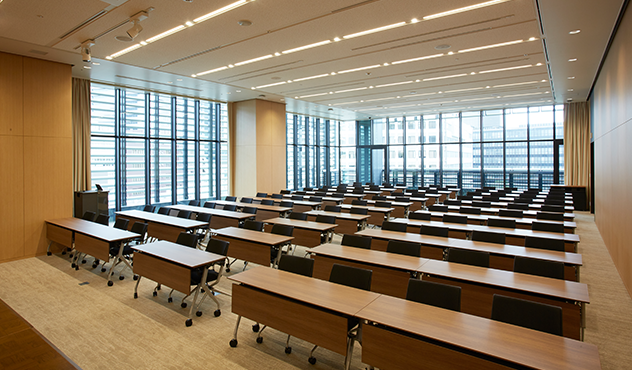 A conference room you can flexibly adapt for a variety of uses. 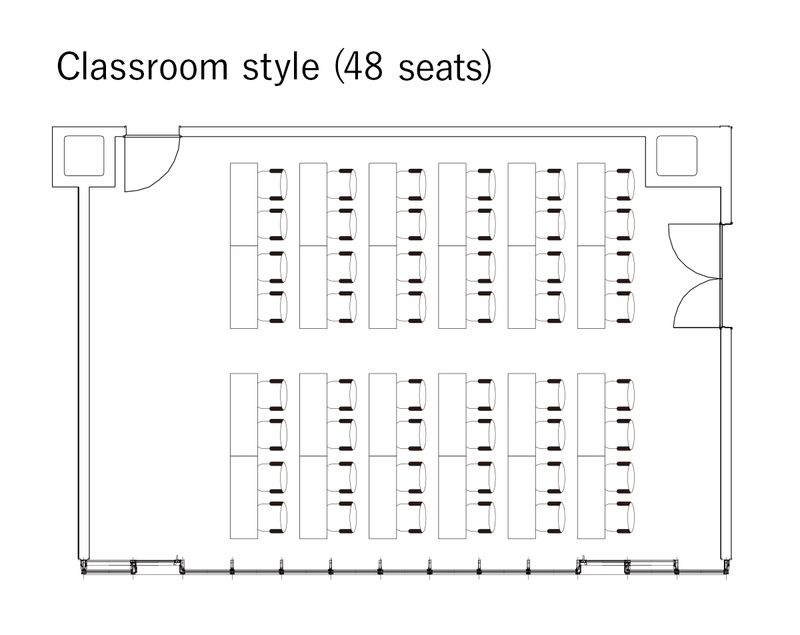 Original desks and chairs that help participants maintain their concentration even during long workshops. 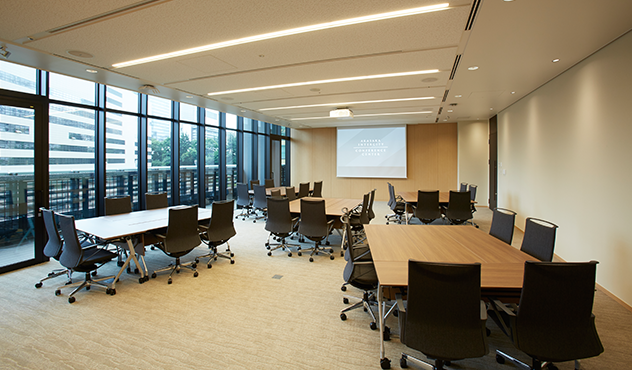 A spacious venue with 3m-high ceiling and a view of greenery. 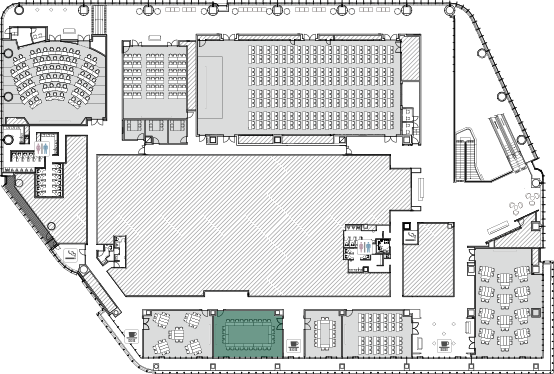 Permanent kiosk and dedicated reception in the lounge. 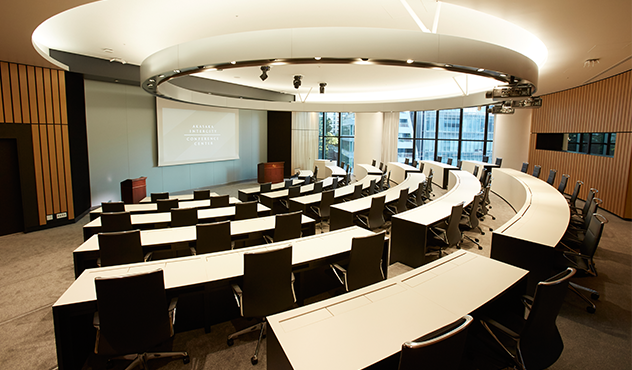 A spacious venue with a 3m-high ceiling that overlooks the abundant greenery on the premises. 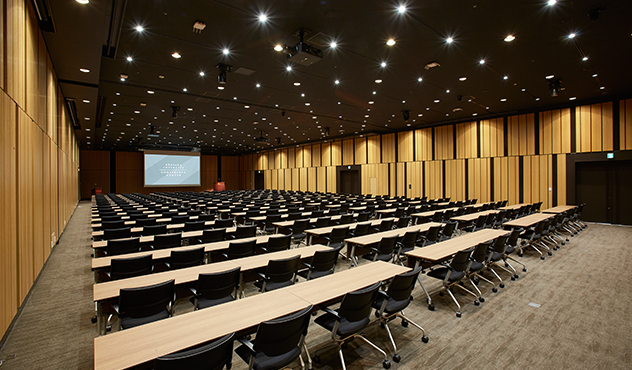 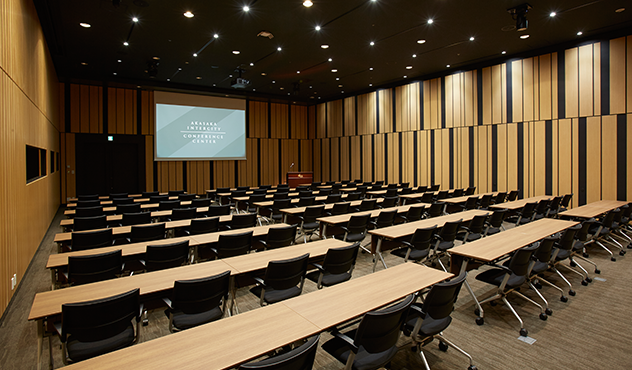 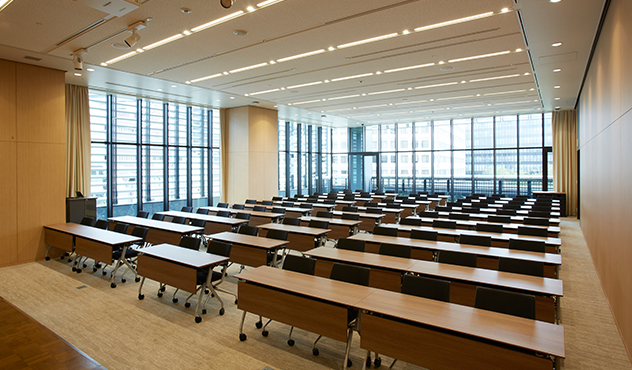 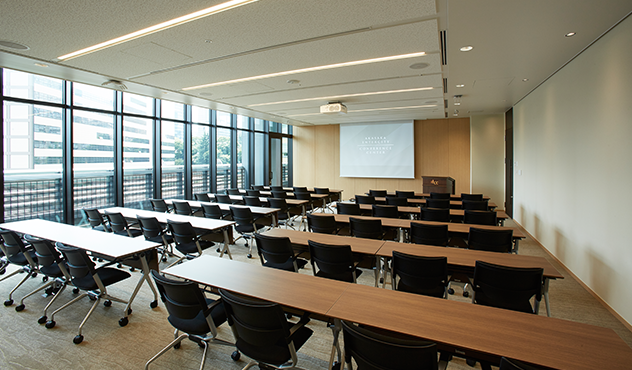 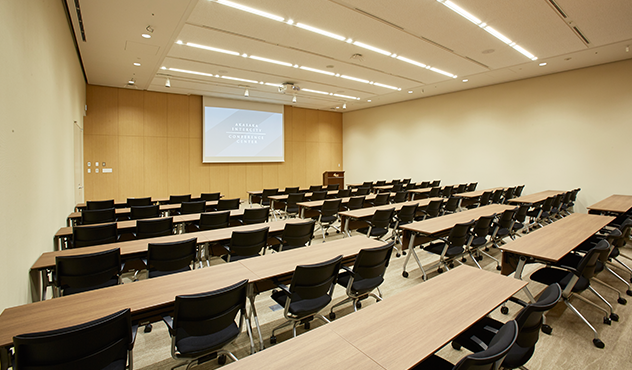 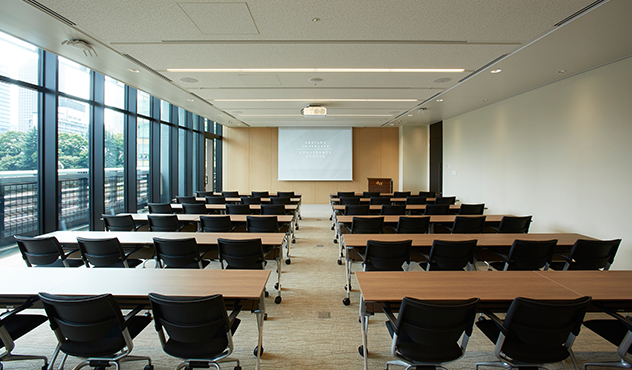 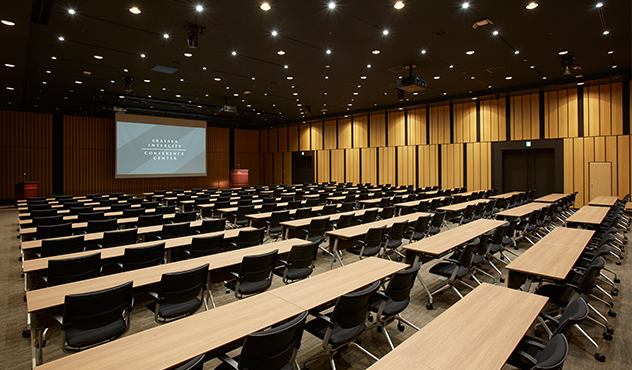 It can be flexibly adapted for various uses, such as seminars and workshops with small numbers of participants, as well as for use as a waiting room for participants in international conferences and symposiums. 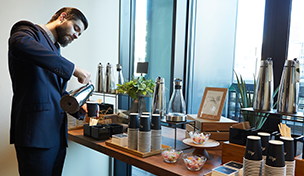 We provide a KIOSK stand where participants can enjoy drinks and snacks and wide-seated, height-adjustable conference chairs that keep them from getting tired. 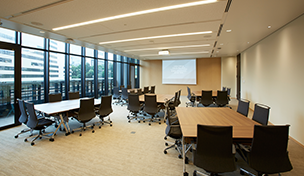 We have prepared an environment that allows participants to maintain their concentration even during long meetings and workshops.